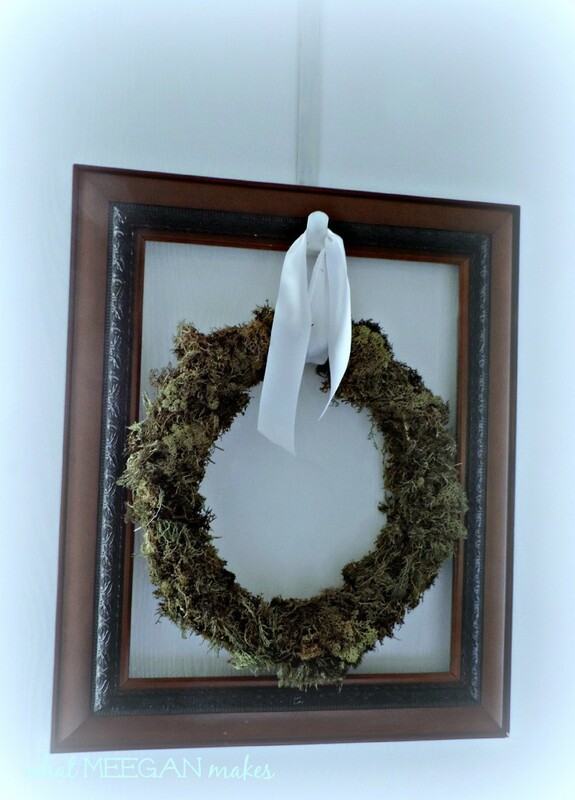 It is the time of year to share my Easy To Make Moss Wreath. It is perfect for your Fall, Christmas or even Spring decor. This is the reindeer moss wreath I made for the TV Room. 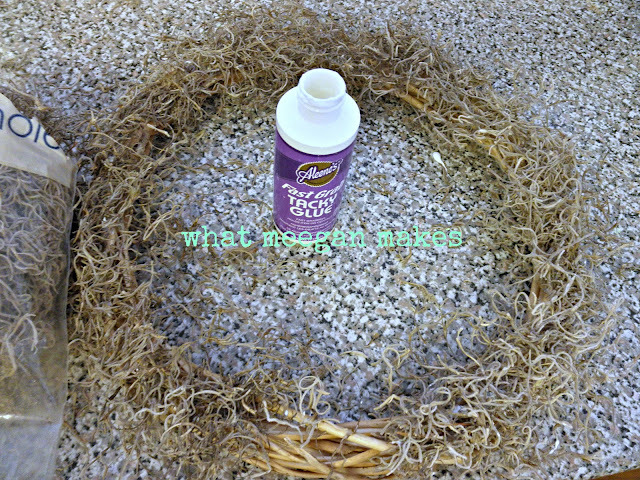 To show you how to make a moss wreath, I am using Spanish Moss, because I am making the wreath for a different project. 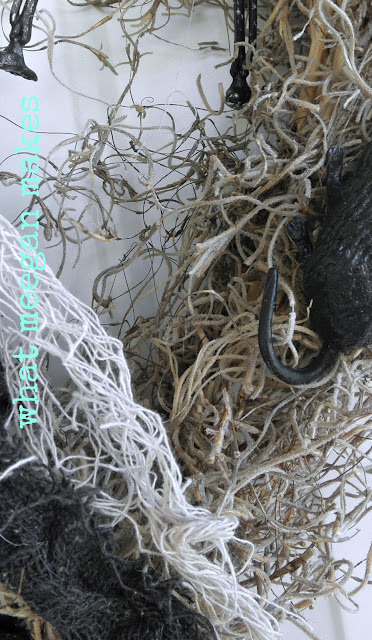 Which ever moss is best for your project-the process is still the same. 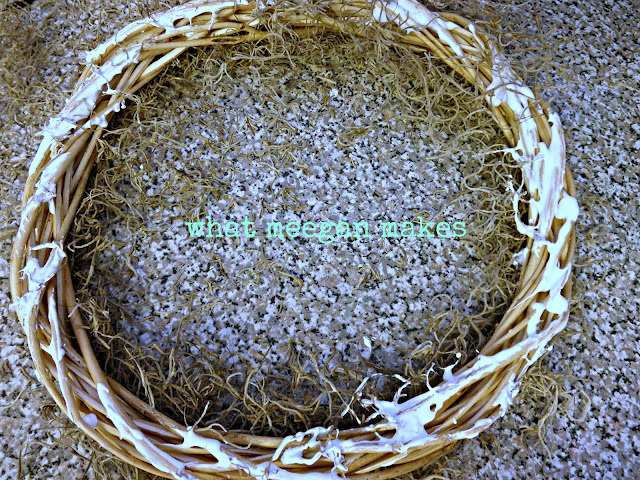 I started with a wicker wreath, then added the tacky glue. Normally you could add small amounts of glue at a time, but mine spilled (oooops! ), so this was the way I needed to work-after scraping it off the counter :) It was actually pretty easy this way, too. I cut or tore off a good sized piece of moss then I would press it into the glue to make sure it adhered to the wreath. This wreath took one large bag of Spanish moss, and I had a lot left over. After you do one whole side of the wreath, flip it over and do the other side-Continually pressing the moss into the wreath. You may see empty or less full spots so just fill them in using the glue and moss. When it is full as you like it, you are done!! You can see I left some of the wicker showing-that is just what I needed for this project. Let it dry completely before you hang it. Your moss might fall off, but no worries. Here is a sneak peek at the wreath I made with the Spanish moss. You could also add sea shells, starfish, netting, ribbon, ornaments, etc.. to the Spanish moss for a beach style wreath-it’s up to you and your own creativity!! How fun is that??? And again-this is my Reindeer moss wreath. I used about 4 full bags of Reindeer moss for this one. I wanted it more full-like you would see in Pottery Barn. You could add a bow, or pumpkins to this one, maybe even some leaves for Fall. This is one technique for making a wreath, 2 different styles. An Easy To Make Moss Wreath is easy for even the “not so crafty” person. Thanks for stopping by and for being such faithful followers. I am REALLY lucky and blessed to have you stop by everyday. Love it, Meegan. Always wanted one of these but they are SO expensive. I’m off to Michael’s to get me some moss!! Oh I love this mossy wreath. I am loving all the inspiring ideas I am getting from the party. Thanks Meegan for sharing. I collect my own moss and this is fabulous. I love the curly straggles!